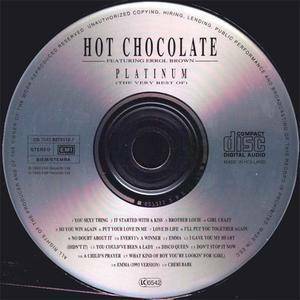 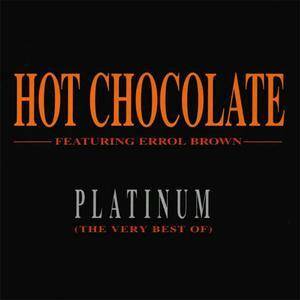 Platinum (The Very Best Of) is the 1993 compilation CD by British group Hot Chocolate. Errol Brown has always been the lead singer so for this compilation, he gets headlining credit. 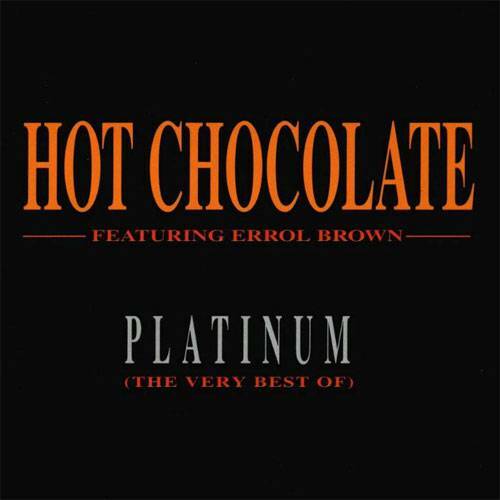 This features all of their hits, including the original version of their interracial love song "Brother Louie" made famous by Stories, and near-misses. 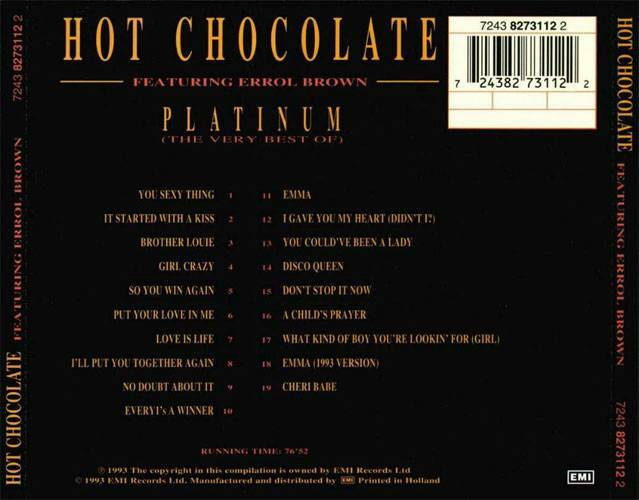 This was released by EMI.